With the release of the third Corvette starship novella coming in just a few short weeks, I thought I’d take a moment to let you know what’s coming up next. The Corvette Trilogy is just the first of three planned trilogies with the same main character – Armon Vance. 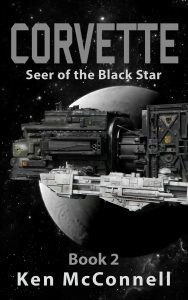 His story started with Corvette, then advanced with Corvette: Seer of the Black Star and finishes with Corvette: Pirate’s Lair. The next book I will write for this series will be called – Destroyer: Declo Demons. Look for it in the Spring of 2019. Following along on the heels of that will be book 2, Destroyer: The Mutineers, which should ship for Christmas in 2019. The trilogy will finish in the Spring of 2020 with Destroyer: Letting Go. The Destroyer Trilogy will be darker and all the books will take place in a single system with seven habitable worlds, none of which are in the Federation. I have one final starship trilogy planned. It will be called the Explorer Trilogy. The names of those books are still subject to change, but chronologically speaking, will end with the events that take place in Starforgers, Book One of the Star Saga. That will complete the Captain Vance starship series and take you right into the Star Saga. Speaking of the Star Saga, I need to get back into that middle trilogy starting with Book 5 – XiniX. The Starstrikers trilogy will continue in parallel with the Starship Series. After XiniX comes out, there will be a novella – Dark Wind, followed by the final book in that trilogy: Nex Gen. Now the Star Saga books take longer to write because they are closer to 300 pages long and usually have more involved plots. So it’s going to take me longer to write them. But when the Starstriker Trilogy is over, it will have three novels and two novellas, just like the Starforgers Trilogy. Needless to say, my lunchtime writing sprints are spoken for well into the near future. I should continue to have two books come out every year for the next decade or so. Busy weekend. 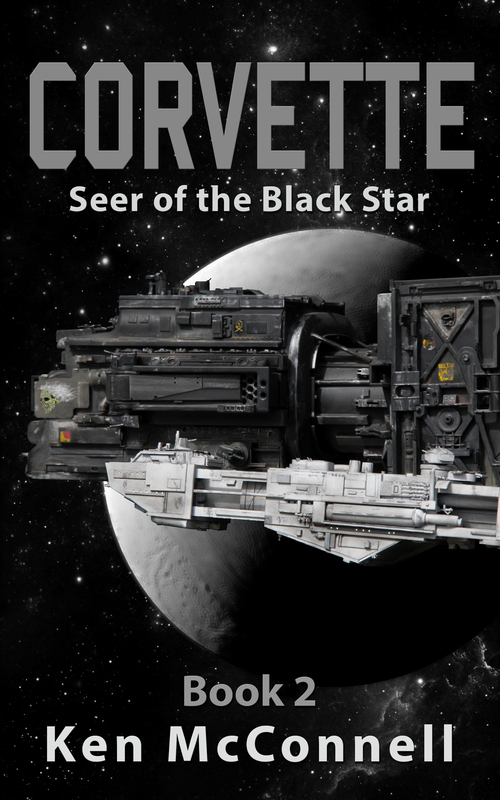 I’ve uploaded a stub for the next Corvette book and it’s now up for Pre-Sale on Amazon. So far, five eager readers have ordered it. Many thanks! It’s already done better in pre-sale than three of my back list books! The actual release date is this coming Tuesday, 14 November 2017. So it won’t have but a long weekend to gather pre-sales. In preparation for the release I’ve also spent some time updating this website with a new page for the book and adding it to the front page. The cover I’m using is not quite final yet but it’s close enough. We’re going to add that it’s book 2 of the Corvette Trilogy and then alter the old book 1 cover to match. Details, details. 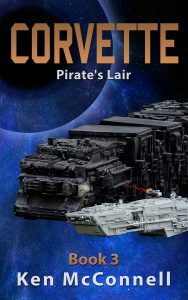 In the meantime, I’m still pounding on the Corvette 3 first draft. I’ve realized that I might actually need an outline for this one and so will take some time to organize it before continuing on. I have plans to do another trilogy following the career of Armon Vance, so I have to make sure the final Corvette book sets up the story arch for that trilogy. If it gets written, and that depends on sales and sales alone, that series will be called the Destroyer Trilogy. I think you can guess he’ll be captaining a destroyer starship. Next year will be dominated by finishing the third Corvette book and working on the fifth Star Saga novel – XiniX. Can’t wait to get back to those characters again and see what the Silicants have been up to for the past five hundred years. Sometime in the next two months I will do a post on how my book sales have done this year. Thanks to the first Corvette novella, it’s been a pretty damn good year. Last year my novella, Devon’s Blade received a Five Star review from Reader’s Favorite. 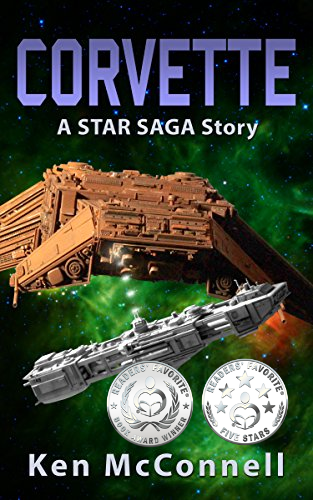 This year my novella, Corvette, won Silver Award and received a Five Star review from Reader’s Favorite. 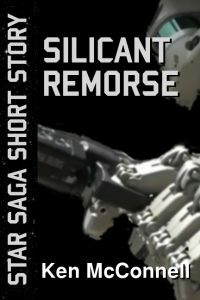 Both of these stories are Military Sci-Fi and feature my style of realistic story telling coupled with characters that you want to root for. Both of them are also small stories that focus on a small portion of a larger conflict. 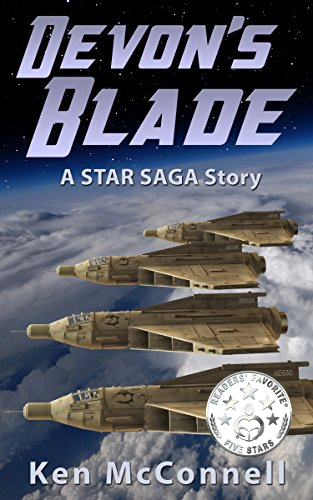 Devon’s Blade is a classic air combat tale and Corvette is an old Naval tale re-imagined in the genre of Sci-Fi. Both of these novellas have inspired a loyal following from readers, Corvette in particular really took off on Amazon and sold enough copies to garner me entry into SFWA in a single month. Corvette continues to sell better that any other book I’ve written and it’s success has been good for my back list. It’s good to get some recognition bling for it now. I’m currently editing the second Corvette book and writing the third one. Look for those ebooks to hit Amazon starting next month for book 2 and possibly book 3 by December. I’m having quite the time figuring out the branding of my Sci-Fi universe. For the past few years I’ve been calling it the Star Saga, which is accurate in that the whole series follows multiple generations spread out over a thousand years, but doesn’t make it easy for the reader to understand. So I’m reorganizing the books once again for clarity. This is part of branding my fiction and plays into how it gets advertised to readers. If the reader comes across one of my books I want her to know where that book fits into big picture and where to find the next book so she can continue the story. This is no easy task when confronted with the Star Saga. It was previously divided into three trilogies and then each of those trilogies became five books long, which technically means they are no longer trilogies. 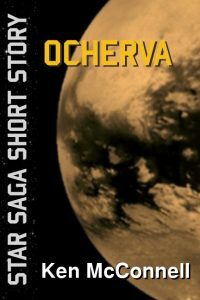 Then I added some short story anthologies to the mix and finally, a prequel series revolving around a single starship and its crew. The end result was mass confusion. I’ve given up on the whole trilogy moniker and instead will start using “series”. So the Star Saga now contains four series each in a different time period and with a mostly different cast of characters. The next problem becomes what to number them. Some of the books are full on novels and some are novellas and the novellas come in between the novels. Currently the plan is to just number them in time order, regardless of whether they are novels or novellas. This will suggest reading order and when done, each series will be just five books long. But what happens if I write another cool novella set in the middle somewhere? Then you can’t just redo all the book covers in the series. Do I say Book 2.5 in the series? Then later I write another related novella and call it 2.1 and that one comes before 2.5? So I think I’ll only number the main trilogy of three books. That’s the main arc of the story and the lead characters. The novellas are fillers and smaller tales so they won’t get a number but they will be in a specific order that will be listed in this read order list. This lets me come back to the series and write another Devon Ardel novella that takes place before Devon’s Blade or After The Rising and as long as this one page is updated the reader will know the time order of the book. Below is the latest incarnation of the Star Saga broken down into four series. I will put a page that shows this breakdown in every book going forward and hopefully by next year they will all have it and possibly a galaxy map. Although that has yet to be commissioned. 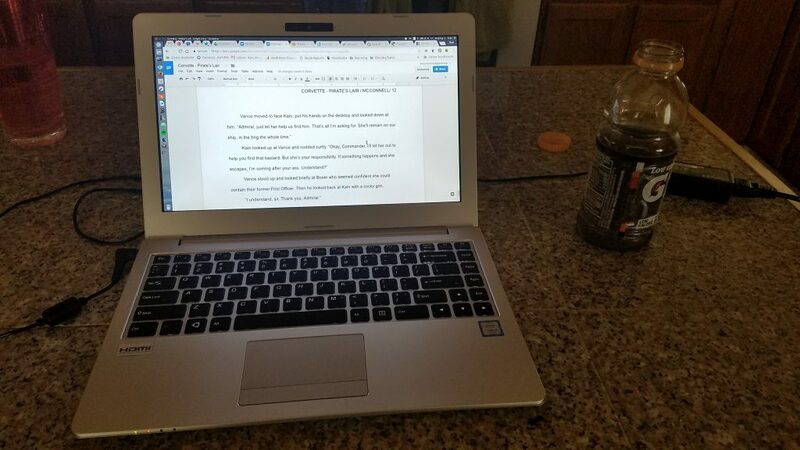 Fans of the Corvette novella will be pleased to know that the first draft is complete and in the hands of a few select beta readers. A second draft or pass at the manuscript will occur after I get some comments from the betas. Then it’s off to the editor and copy editor and finally, it will get released. When will that last part happen, you ask? Probably in late October. In the meantime, I’ve already started writing book 3 and the final Corvette novella. If I finish it before winter you can look for that one to be released late winter or early next year. 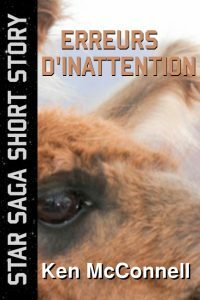 By that time I will be well engaged in writing Book 5 of the Star Saga – XiniX. The only book on the schedule for next year is XiniX but that could change. If the Corvette trilogy continues to sell well and the demand is there, I could do the first book of a second trilogy in that series probably called Destroyer. As you can guess, Captain Vance progresses to a bigger ship in that trilogy. Corvette sales have slumped in the last month but sales of the other Star Saga books are steady as new fans make their way through the back list. I average about two thousand US dollars per month which is not too shabby for no advertising and no big publisher backing. Last month I did a reading at one of my local libraries and enjoyed hearing what other local writers were doing and meeting them to talk shop. 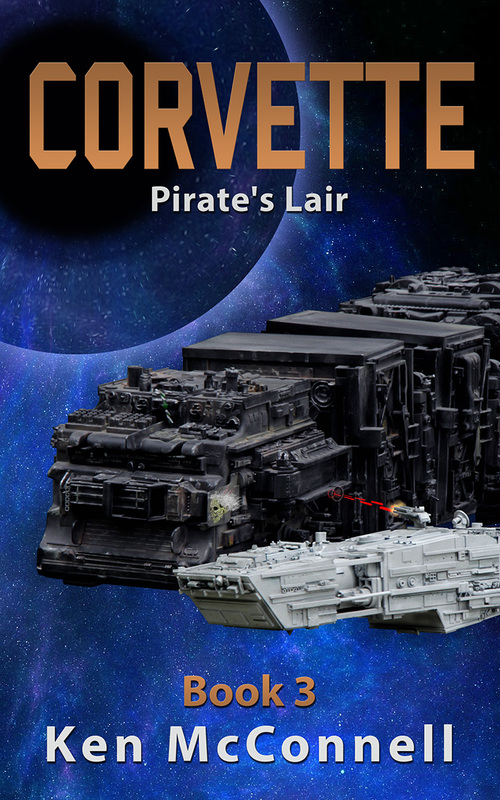 On the modeling side of the house or more appropriately the garage, I’m trying to finish detailing the Black Star pirate ship for the Corvette 2 and 3 covers. Another week or so of fiddling with greeblies and then I can get her primer coat applied. 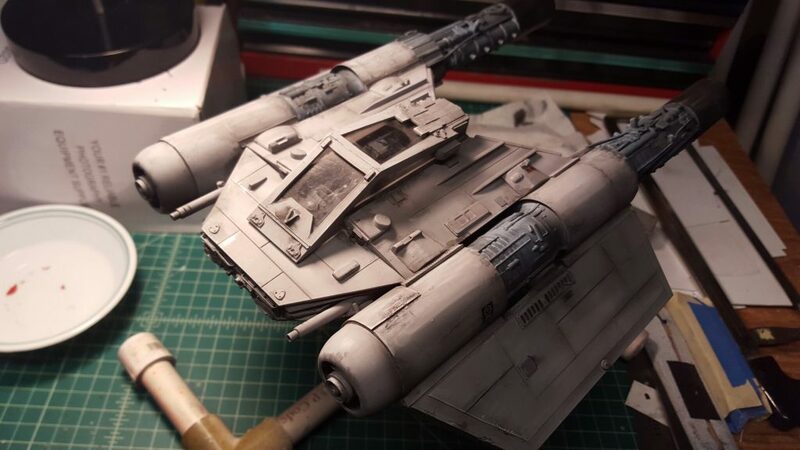 From there it’s a base coat of flat black and then a bit of weathering and battle damage to finish her off. I have drawn up plans for a second corvette model, this one a bit newer in design that will be featured on the third Corvette book cover. I probably won’t light it and will knock it out as soon as the pirate ship is finished and photographed. Summer is another scorcher here in Idaho and now the area forest fires are making the air hard to breathe. It’s my least favorite time of year in the western US. The temperatures are hovering in the high nineties and hundreds Fahrenheit. Which means I have to do my model building in the mornings and writing in the afternoons when I’m confined to the air conditioning. 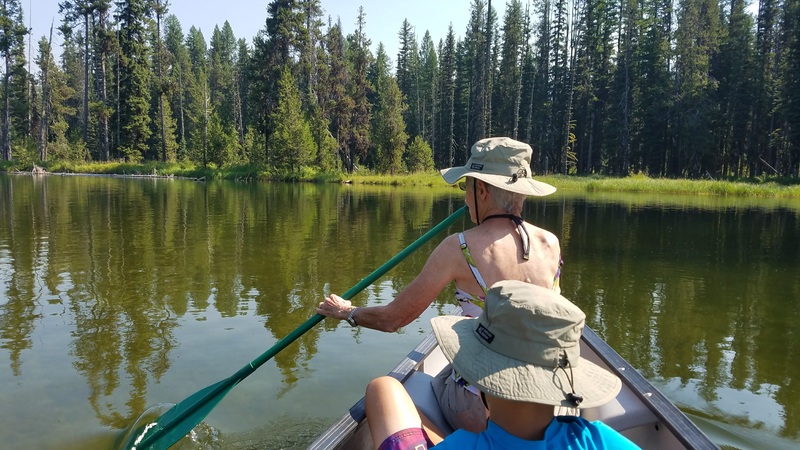 We did a short family vacation last week in McCall Idaho and had a blast. Hiking, boating and canoeing were some of the fun things we did in the local resort community. Hope you summer is going well and I’ll check in again when I have some updates. 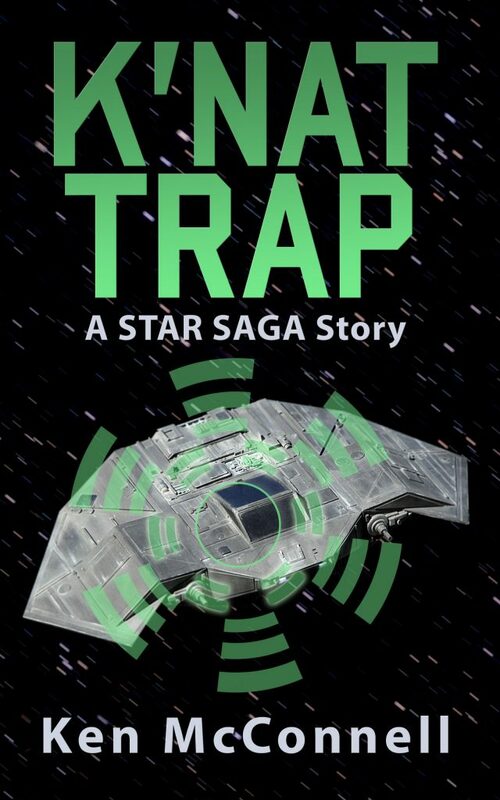 The ebook and paperback versions of K’nat Trap are now both available on Amazon. If you pick up the paperback, you get the ebook free! Can’t beat that! As always, please leave a review when you finish reading it. Authors live or die on reviews. The more we get the better off we do and the more likely we will be able to write you more of the stories you love. 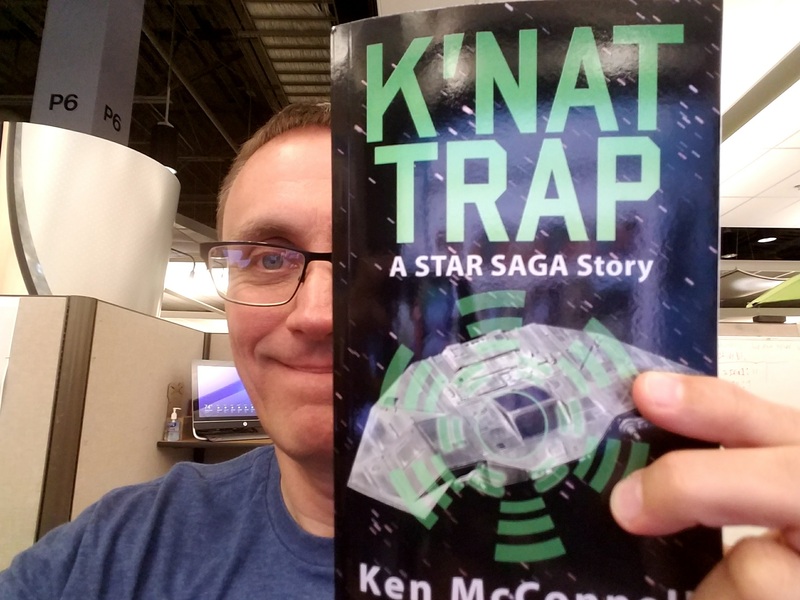 So if you loved K’nat Trap, tell everyone about it with a quick review on Amazon. Looking for a quick, fun read this summer? Then get yourself a copy of K’nat Trap. It’s loaded with starfighter fights, carnivorous alien squids and Special Forces Pravda. How can you miss with all of that? So go and order yours today so it’s automagically on your Kindle or Kindle app on the 18th. If you can’t wait until then, order your paperback copy now and be reading it in just a few days shipping time. Starstrikers agents Kiloe and Tamia team up to capture a new Votainion starfighter with NexGen technology. On a remote, enemy held planet, a K’nat starfighter has crash landed intact. Commander Kiloe is sent on a one way mission to repair it and fly it to a nearby Alliance cruiser where Tamia is waiting to help recover the enemy starfighter. But more than just the Votainions are preventing him from recovering the starfighter. He also has to deal with a sentient alien who has an insatiable appetite. Can the Special Forces team recover the secret enemy fighter or will their efforts be thwarted by a vicious alien and best efforts of the enemy? Here are some of the cool ships featured in K’nat Trap. 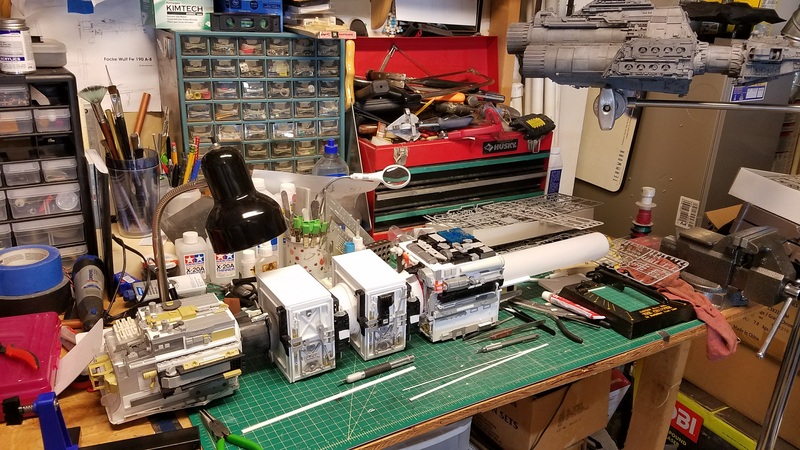 You can find complete build pages in the Model Builds page of this site. 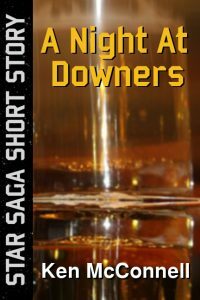 My next novella will drop in July. So I’m introducing it early to generate some interest. The idea is to get folks to go buy it on pre-order so that it has a big first day when it finally comes out. First things first. How do you pronounce K’nat? I pronounce it with a short a like in “bat” but a silent “K”. It’s spelled like gnat, with a Votainion “K” instead of a “G”. Make sense? Okay then. 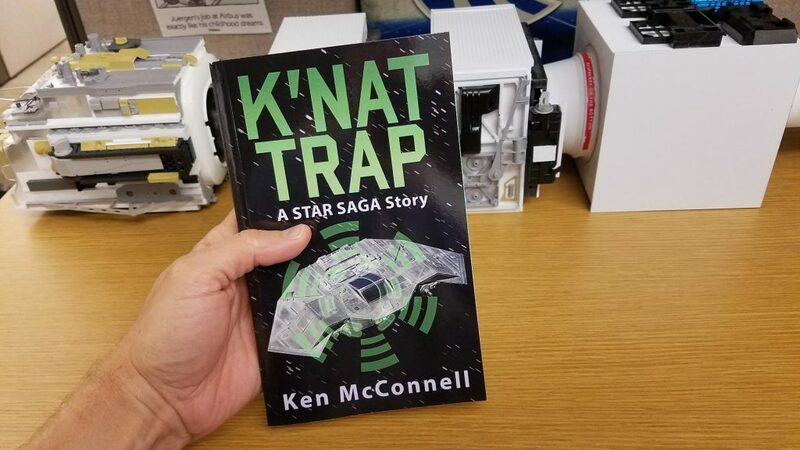 K’nat fighters are the NexGen or Next Generation of starfighters built using the same technology that the Eclipse had in Book Four – Starstrikers. So if you have not read Starstrikers yet, you might want to read that one first. 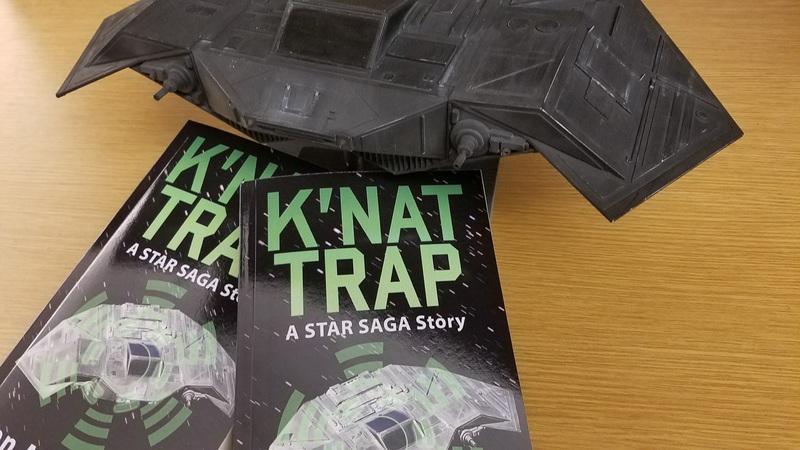 K’nat Trap takes place chronologically a few years after Starstrikers and features two Starstriker agents, Kiloe and Tamia on a secret mission to recover a downed K’nat fighter on a bog planet. If that premise seems vaguely familiar to you, you might be an aviation buff. 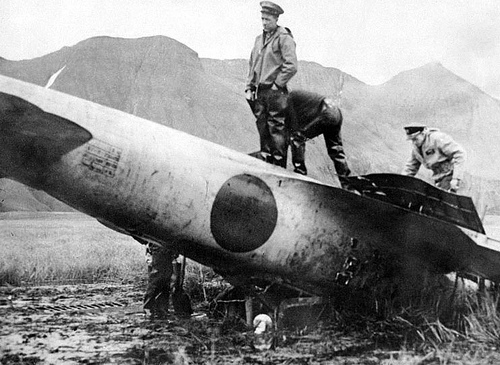 The source material for this novella is the Japanese Zero that crashed on an island in the Aleutians at the start of WWII. American forces recovered it and took it to California where they got it flying again and then learned the airplane’s secrets. The F6F Hellcat from the Navy was designed to specifically defeat the Zero fighter based on what we learned from the captured Aleutian plane. I used the name of that island as the name of the planet where my K’nat fighter crashed – Akutan. Below is the model I built of the K’nat fighter. It was constructed of plastic and scaled to 1/32. There are lights in the headlights and engines. 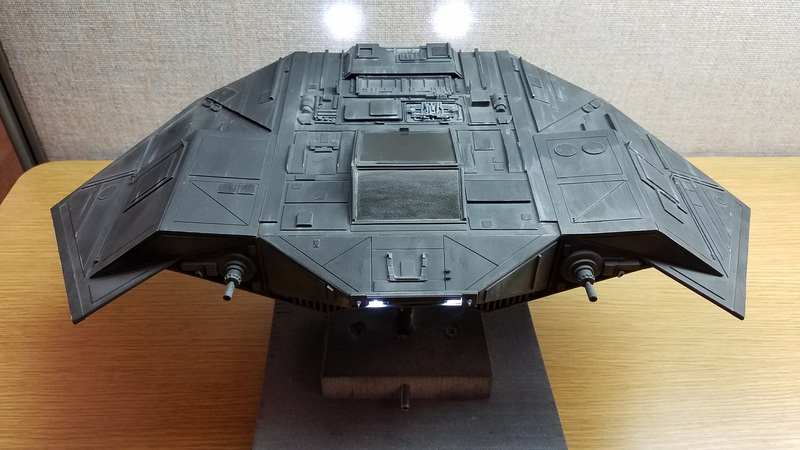 This model was used for the book’s cover which hasn’t been revealed yet. Stay tuned next week for that! 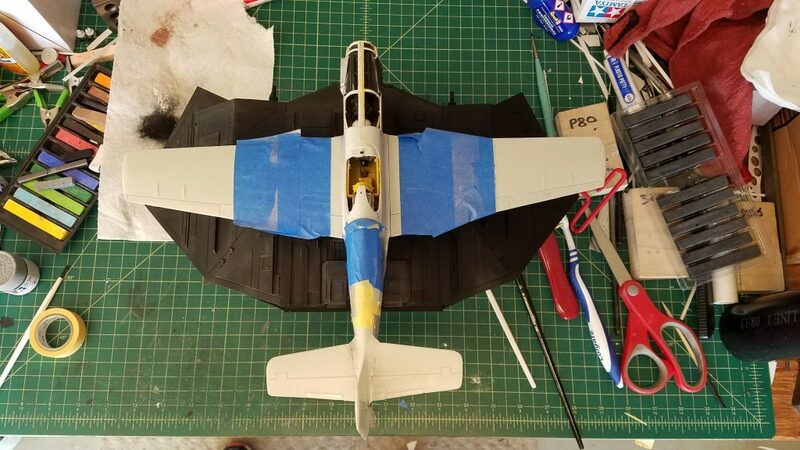 If you want to see some detailed pictures and commentary on the making of this model, you can check it out here. 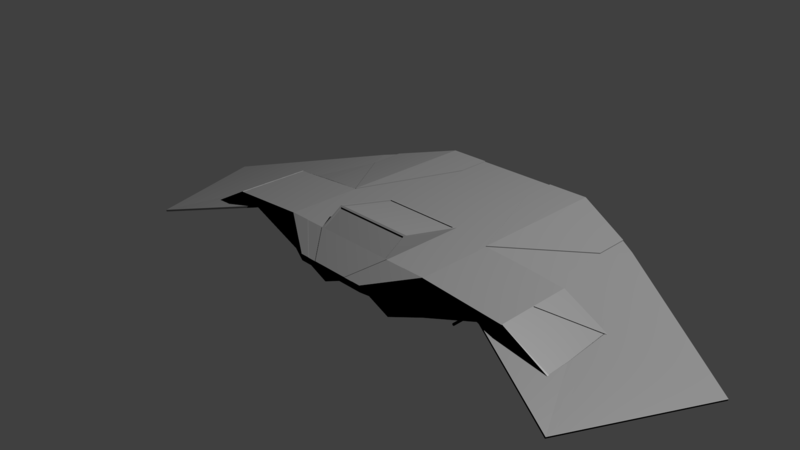 It was even rendered as a 3D mesh by my son using Blender. His is sleeker, I suspect. 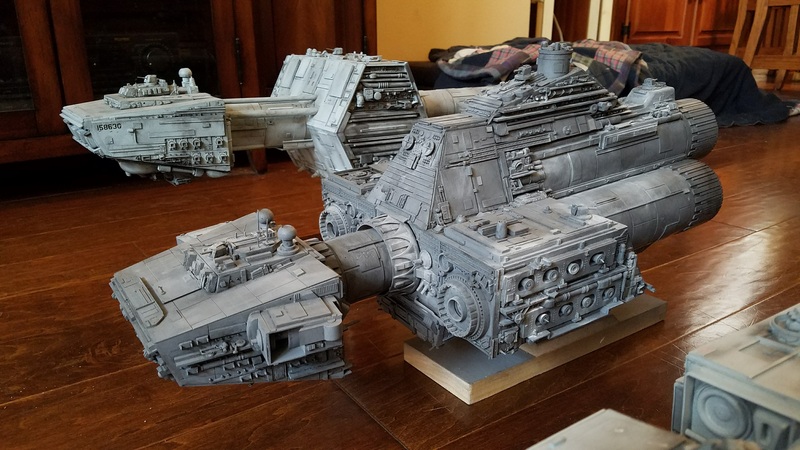 The design was crazy complicated to work out, so I built a cardboard model of it first. 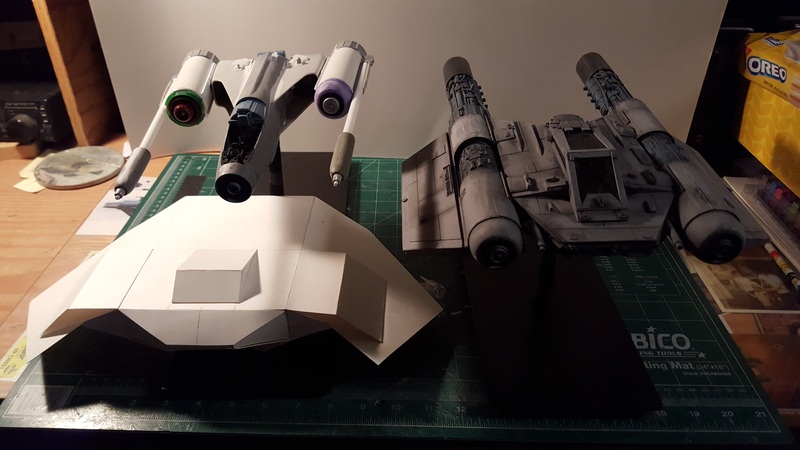 Here’s that model along side stablemate Votainion starfighters from the same era. Here’s a size comparison with a P-51 fighter from WWII. Just about the same wingspan as the legendary American fighter. I thought it was about time for a numbers update on my novella, Corvette. I launched it on Tuesday, 21 March 2017 with little fanfare as an Amazon KDP Select ebook and a KDP Paperback. I did no advertising for the launch. No Facebook ads, no Amazon ads and no BookBub or similar posts. I mentioned that it was available on Google Plus, Twitter and Facebook. I also hit my mailing list with the link to buy it. To get on the lists, you need to be selling 35 or more per day. To make mid-list range or in the 50’s of a top 100 list you have to sell over 70 per day. It’s hard for any book to stay up that high for long and I’ve noticed other books bouncing around with mine for the mid 50’s on two lists. Above you see the three lists Corvette is on at the time of this writing, Sunday afternoon. Hanging in there at mid-list for two and about page three for the fourth list. No idea how long this will continue. I’ll do another update in a week or two. Below you see my combined sales of all my ebooks for the same time period. I have a series called the Star Saga that is starting to sell now that Corvette is out. Corvette is a prequel to that series although no characters carry over. So I’m hoping readers find the series and start to make their way through it. The series has three numbered books with two novellas in between them. So a total of five books in the first trilogy. The chart below shows how the series books are slowly rising in sales. This is for April only and most of these only sell about one or two per month normally. So I’m happy the series is getting some exposure, that was the whole reason this book was written. 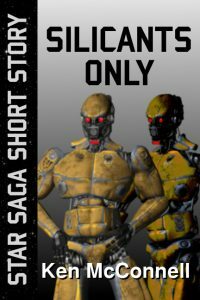 It’s supposed to be a low cost entry level novella to the Star Saga. 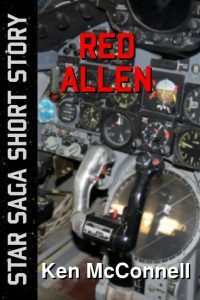 I’m keeping Book 1 of the series at .99 cents to ensure the reader takes a chance on the actual series after liking Corvette. If they come back for Book 2, I charge my regular price – $2.99. All of my series novellas are priced at .99 cents for the ebooks. So how well did the paperbacks do, you might be asking? Not so good. Paper is still not a viable option for me yet. These are my sales for March. So far in April there are no sales. If you want to check out Corvette you can get it here.